I look to other food blogs for inspiration quite a bit. One difficult thing about food blogs is that there is really no way to see what each one is doing at any given time without actually going and reading them (which can be a chore since there are literally thousands of food blogs). So I check the ones that I know I like frequently and every once and a while I try a random link to another one. Then I found the Tastespotting site. This site is great because it allows people to post links to blog recipes that they have tried and loved. The links show up as big photos with a small description of the dish and the blog that posted it underneath. You basically look through the pictures and click on what you like or what looks good to you. It's a great way to find new recipes and quality food blogs. 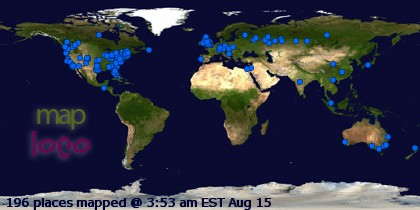 For these reasons, Tastespotting has become one of my daily go-to sites on the web. Here are 2 recipes I made this week that I found on Tastespotting. 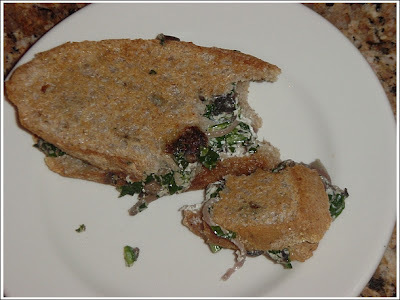 First up is a wilted greens and goat cheese sandwich from Dinners for a Year and Beyond. I used collard greens and some whole wheat ciabatta that I had made earlier that day and pressed the sandwiches under a cast iron pan to make panini. Other than that, I made the recipe as written. I served one sandwich with a bowl of pasta e fagioli as dinner and got rave reviews. The goat cheese and greens spread could easily be used on crackers or toasted baguette as an appetizer. 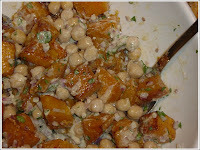 Second is a warm butternut squash and chickpea salad with tahini dressing from Orangette. This salad was both extremely easy to make, and very tasty. The salad is loaded with healthy fats, proteins, and vitamins and is a perfect amount for a dinner for 2 or a salad course for 4.
just wanted to say that I saw your comment on 'serious eats' -- what you don't want on your burger -- and COMPLETELY agree! I LOVE overloading my burgers with tons of fresh veggies as well. some ppl complain about not being able to bite into their overloaded burgers-- i love that. Ha, thanks starry, but I think you might have misunderstood my comment a bit - I do enjoy good fresh veggies, but definitely not to the extent that I'd call the burger "overloaded". In a burger, I definitely want to be able to bite into it and get some of everything without it falling apart, and I want to taste the beef above all else. Thanks for the comment though! Good luck with your cleanse, sounds kind of rough.